When observing mating friction surfaces under high magnification one can see that they are actually full of “mountains” and “valleys” . These “mountains” penetrate the oil-film that separates mating friction surfaces, and collide with each other. These collisions on the micro level, translate into “friction” between the mating friction surfaces on the macro-level. Some of these collisions result in metal particles breaking away from colliding “mountains”. Breaking away metal particles on the micro-level translate into a “wear” process on the macro-level. Conventional lubricants are based on maintaining high strength and thickness of oil-film in order to separate the friction surfaces from touching each other In higher pressure, generated by heavy working loads, conventional lubricants introduce an EP (Extreme Pressure) protective deposit between moving mating surfaces in order to replace the oil layer squeezed out by pressure. In this way, they try to resist failure from scoring, seizure or accelerated wear. 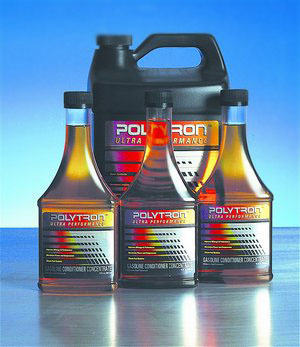 The conventional lubricants succeed in their task only partially, so a continuous wear process still takes place, contributing to deterioration in performance. This in turn, plays a significant role in the vicious cycle of deterioration in performance accelerated wear, etc. Because active elements of Polytron are polarized, when Polytron is applied, they are attracted to the metal.Under heat and pressure these polarized elements metallurgically impregnate the metal's crystal structure on its mating friction surfaces. As a result of the metallurgical process, a very thin layer of original metal is converted into a new type of metal that is much harder and has a wear life that is at least 15 times longer than the original metal. This newly formed layer of metal protects the original “softer” metal beneath it from wear. Since the protective layer is very thin, it is very flexible (like very thin sheet metal) Because it is flexible, it allows the metal underneath to be pushed horizontally by the horizontal force generated by collisions. At the same time, the hardness of the protective layer does not allow metal particles to break away during collisions. Thus metal on the “mountains” is “pushed” into the “valleys”, flattening out the friction surface.This results in smooth polished-like surfaces that have much lower friction coefficients. Not only do the metal friction surfaces become much harder, which results in elimination of wear , but also much smoother, which results in much lower friction. 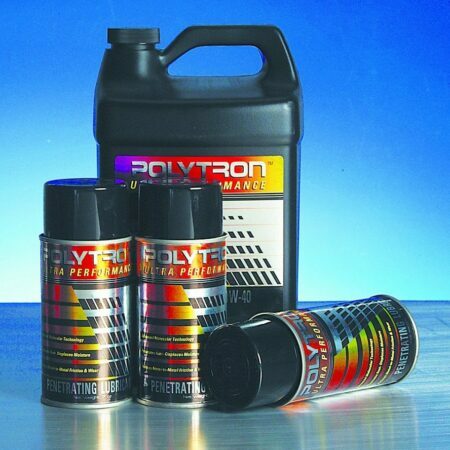 This advanced technology that allows the formation of hard, smooth, polished-like surfaces from the original metal on friction surfaces, is one of the main features that makes Polytron so different from other lubricants on the market today. 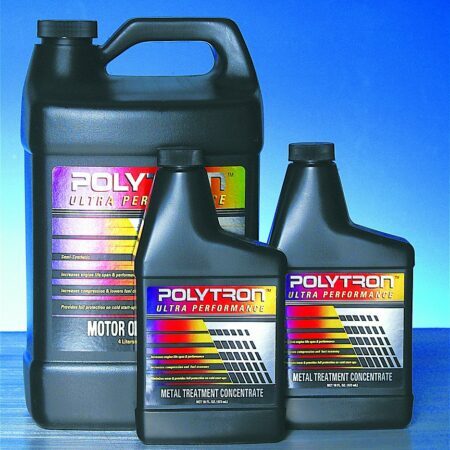 This feature together with other features of Polytron MTC additive package contributes to 4 to 7 times longer oil change intervals and 4 to 7 times longer service life of engines and equipment. (See explanation about "Used Oil Analysis"). 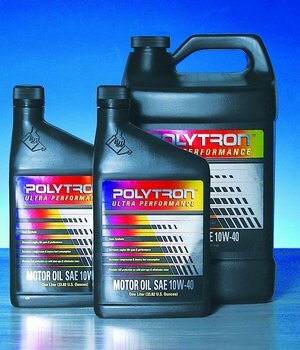 When added to grease, motor and transmission oils, Polytron additive packages dramatically reduce wear of the mating friction surfaces in car engines, transmissions, and other equipment (up to 95%), considerably extending their life span. The lower friction results in lower fuel consumption. 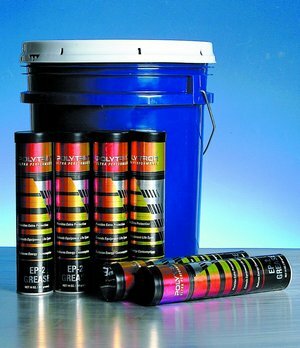 In the event of lubricant loss the protective layer provides a temporary protection against failure. For example , a vehicle that lost its oil can get to the nearest repair shop, and/or expensive equipment is protected for some time allowing timely detection of the problem.